The Klein brothers supplied soldiers with soft drinks and snacks — and big hugs of thanks. Oak Park brothers visit IDF soldiers near Gaza. Brothers Noah Klein, 35, and Yosef Klein, 31, found themselves in Israel for three days in July following a family celebration. Noah decided to visit Israeli soldiers to thank them personally for their service. He hired a driver, who suggested visiting the often-overlooked soldiers on the front lines along the Gaza border. Yosef, who speaks Hebrew, enthusiastically joined him. 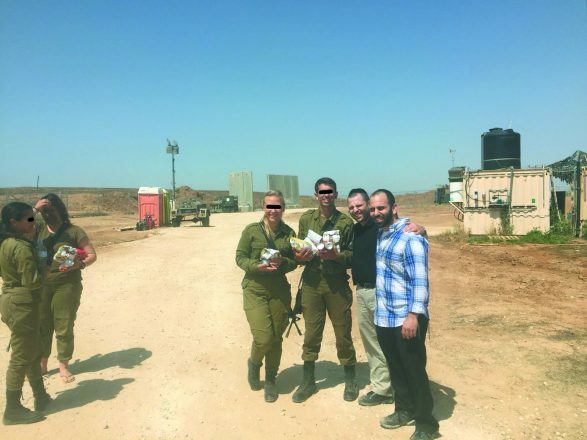 Noah and Yosef bought more than 100 soft drink cans and packages of sunflower seeds, but, more than that, they hugged the soldiers and brought them love. At their first stop, they saw a tank coming off patrol. Yosef immediately jumped out of the car and onto the tank. Due to previous protestor incidents, the commander and crew were initially shocked, but, after some explaining, they were thrilled and grateful to receive the brothers’ offerings. 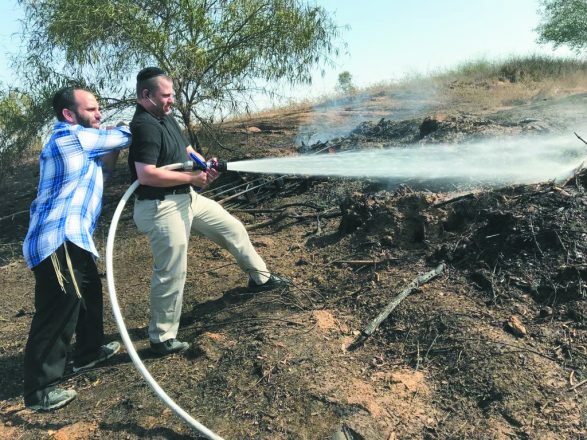 Noah and Yosef Klein of Oak Park helped put out a fire caused by a kite from Gaza when they visited IDF soldiers in July. Along their route, they found a unit fighting a fire started from a kite that had been sent from Gaza. (Many such fires were being sent across the border daily at the time, sometimes even reaching double digits). More than hugs and treats, at that moment, those soldiers were grateful for extra hands. Soon Noah and Yosef were manning a fire hose and helping put out that fire. (Naturally, they hadn’t told their families their plans for the day, but Yosef’s wife FaceTimed him just then, and he matter-of-factly informed her he was busy fighting fires near Gaza and, to her mounting horror, turned the camera around to prove it!). 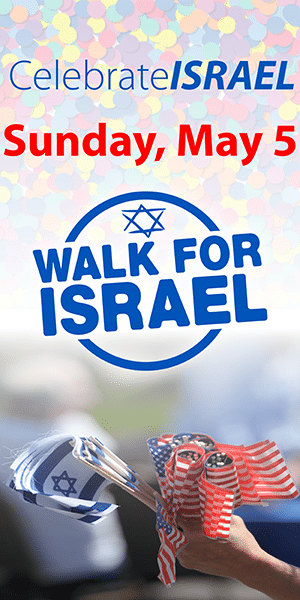 Altogether, Noah and Yosef gave out food and hugs at about 15 bases and outposts that day. During the rest of their trip, they purchased lunches for soldiers or bought them whatever they wanted from nearby convenience stores, each time expressing gratitude and support. Once, the soldiers in an entire unit lined up to receive the big hugs the brothers offered. Many happily posed for pictures with Noah and Yosef, although they promised to black out their eyes for security purposes. For Noah, the owner of a local plumbing business, and Yosef, a litigation attorney, the trip was extremely memorable and uplifting. Both hope to take their children one day on a similar venture (although chances are they haven’t told their wives yet! ).